A risk factor is a condition that increases your chance of getting a disease. In fact, the higher your blood cholesterol level, the greater your risk for developing heart disease or having a heart attack. Heart disease is the number one killer of women and men in the United States. Each year, more than a million Americans have heart attacks, and about a half million people die from heart disease. · Diet. Saturated fat and cholesterol in the food you eat make your blood cholesterol level go up. Saturated fat is the main culprit, but cholesterol in foods also matters. Reducing the amount of saturated fat and cholesterol in your diet helps lower your blood cholesterol level. · Weight. Being overweight is a risk factor for heart disease. It also tends to increase your cholesterol. Losing weight can help lower your LDL and total cholesterol levels, as well as raise your HDL and lower your triglyceride levels. · Physical Activity. Not being physically active is a risk factor for heart disease. Regular physical activity can help lower LDL (bad) cholesterol and raise HDL (good) cholesterol levels. It also helps you lose weight. You should try to be physically active for 30 minutes on most, if not all, days. · Age and Gender. As women and men get older, their cholesterol levels rise. Before the age of menopause, women have lower total cholesterol levels than men of the same age. After the age of menopause, women's LDL levels tend to rise. · Heredity. Your genes partly determine how much cholesterol your body makes. High blood cholesterol can run in families. Your blood cholesterol level has a lot to do with your chances of getting heart disease. 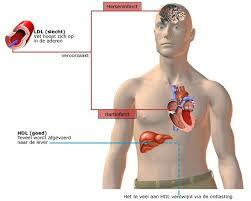 High blood cholesterolis one of the major risk factors for heart disease. A risk factor is a condition that increases your chance of getting a disease. In fact, the higher your blood cholesterol level, the greater your risk for developing heart disease or having a heart attack. Heart disease is the number one killer of women and men in the United States. Each year, more than a million Americans have heart attacks, and about a half million people die from heart disease.